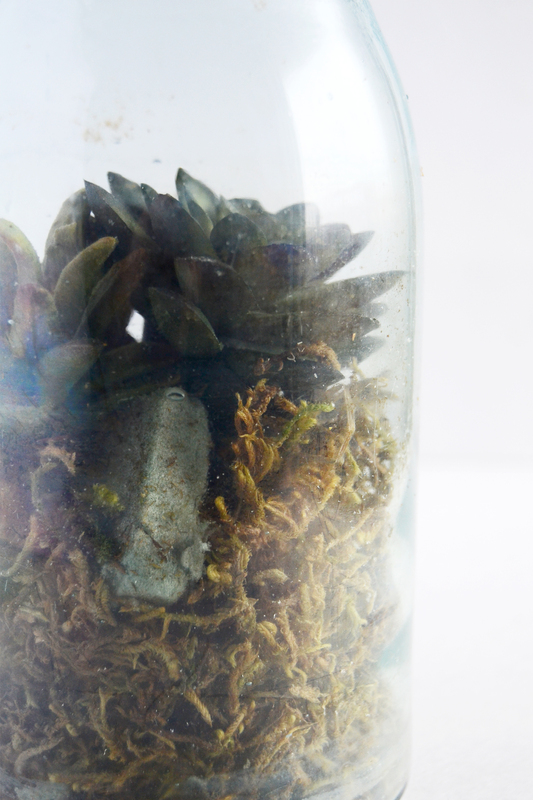 Learn how to make a DIY terrarium using a vintage mason jar and succulents. 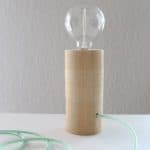 These make attractive and budget friendly home decor – in minutes! 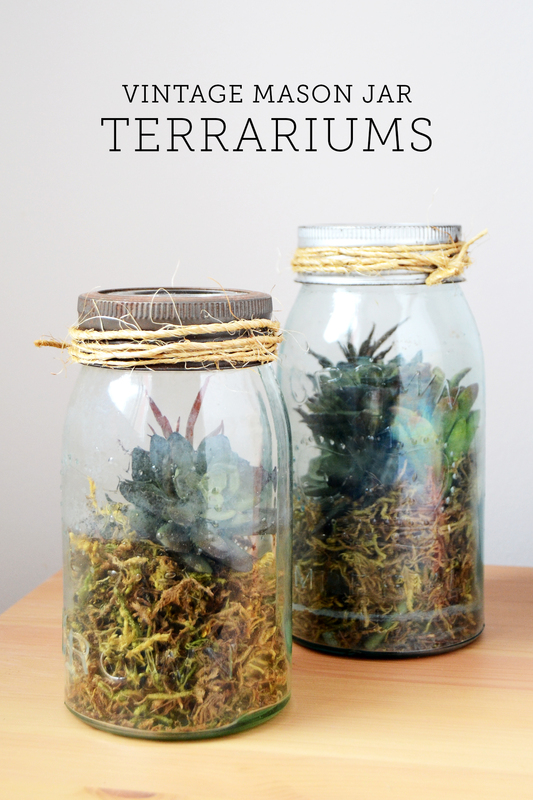 Have you ever tried a DIY terrarium? 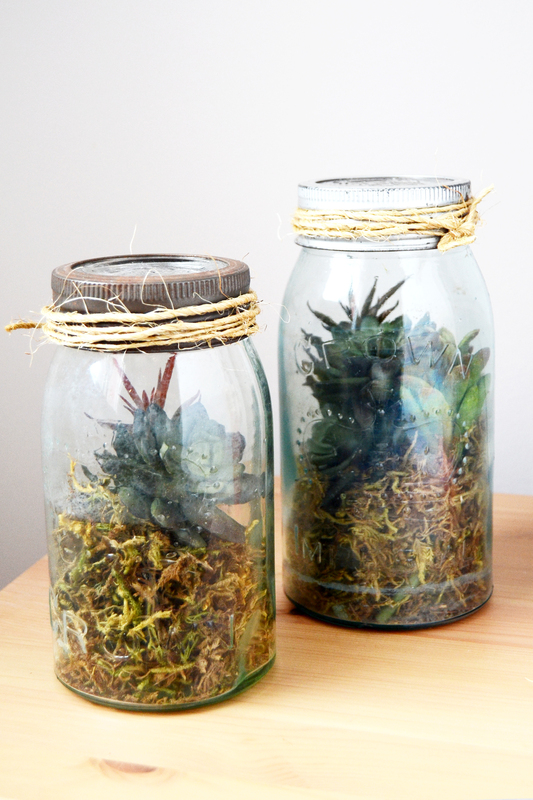 I’ve been collecting vintage mason jars for a while but I never really thought of what I’m going to do with them. Recently I’ve been trying to decorate my little apartment and I wanted some sort of plant to make the space appear more organic – and since I don’t have a green thumb, I decided I couldn’t use real plants. 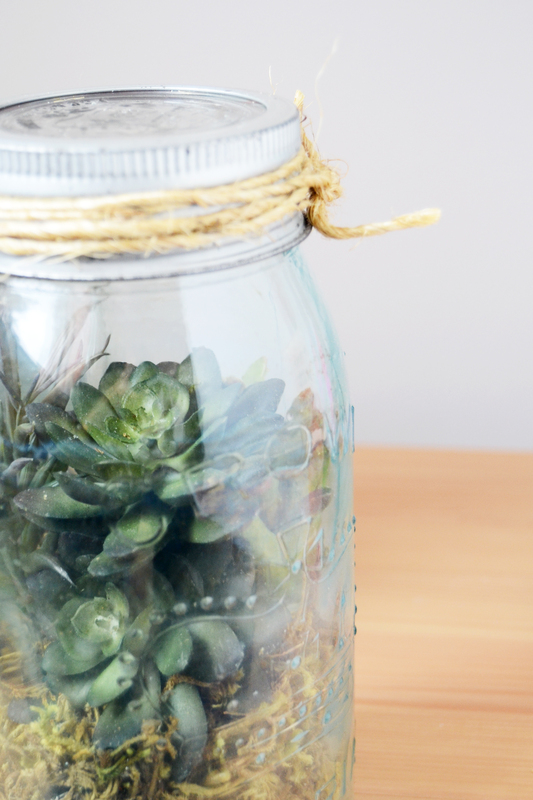 I found these realistic looking succulents and thought my vintage mason jars would be the perfect vessel for them! 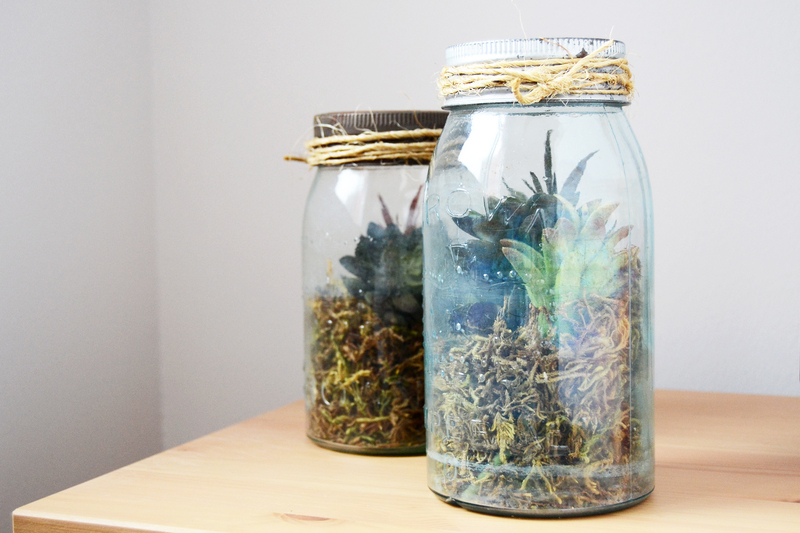 I snag my vintage mason jars at thrift stores (can you believe this one was just $0.99?). 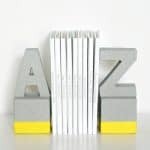 You can also find them at antique stores and flea markets but they will be pricier. 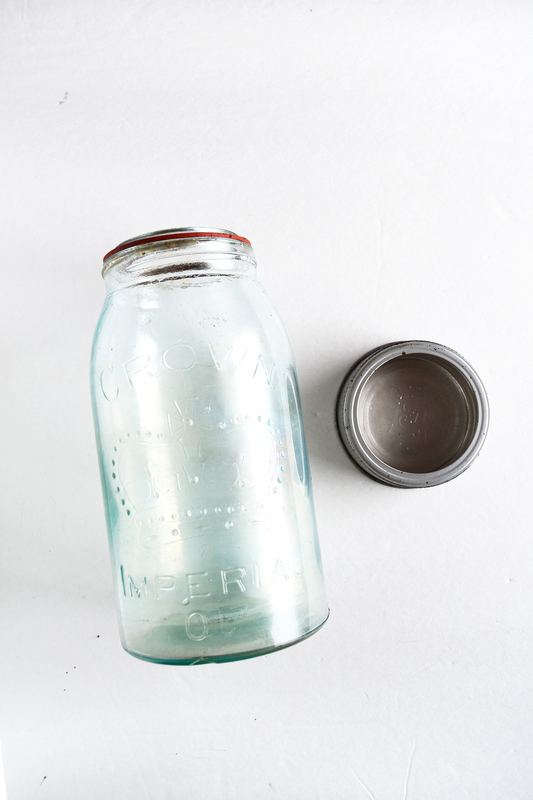 Once you get your mason jar, clean it real good. Some of them may still look gunky after the cleaning process, but that’s because they’re very old. You may want to deep clean it, but I just gave mine a quick wash to keep that old, vintage-y feel. 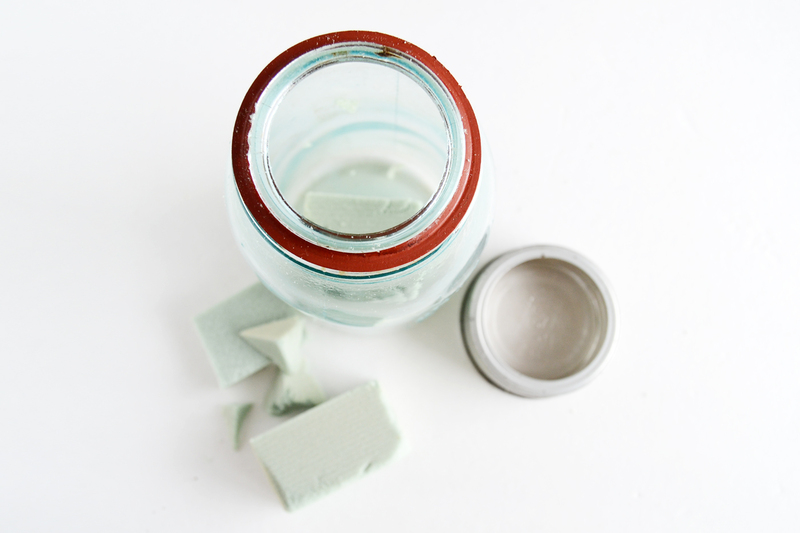 Cut up your floral foam so it fits in your mason jar. Now we want to hide that ugly foam – use Spanish moss and stuff it around the foam and on top. 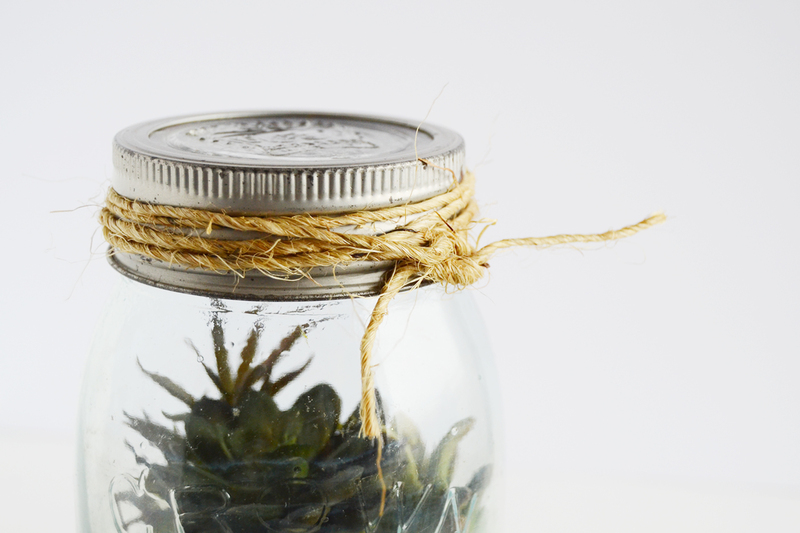 If your mason jar has a small mouth like mine, you might want to use a long object (such as a ruler, a wooden dowel or even scissors) to help you guide the moss to the nooks and crannies. 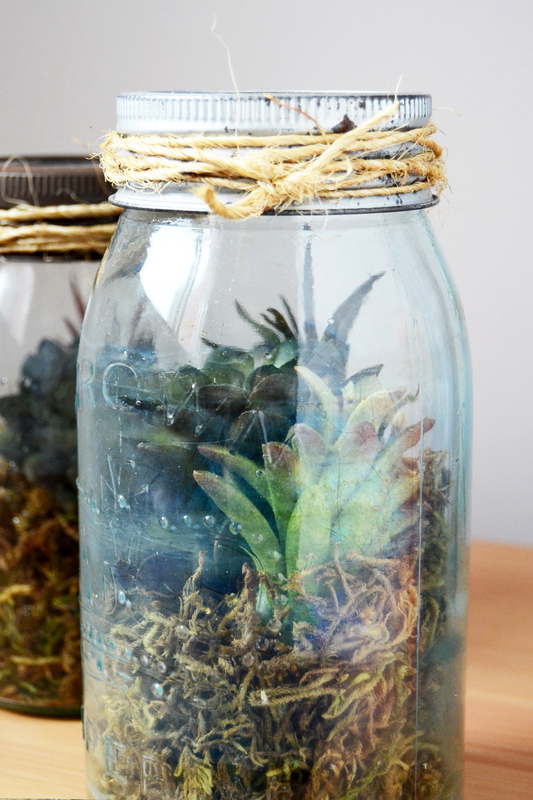 Next, stick your succulents in! I used a variety of different-looking ones to create visual interest. 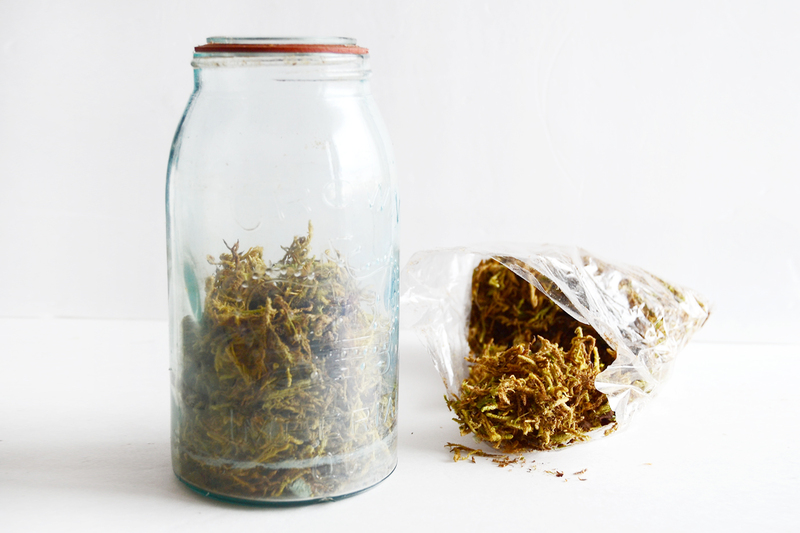 Some of them might be harder to stuff in especially if your mason jar has a small opening. Again, use a long object to help stuff them in. If any of the floral foam show after adding your succulents, take more Spanish moss and cover it up to keep it looking clean and finished. Finally, add some twine for a rustic, finished look. Cut off the excess and the flyaways. And you are done! They’re a great organic accent for the home or even a cute centerpiece for a wedding or a party. I hope you loved this tutorial! Don’t forget to follow me on my blog and social media for more DIY ideas and tutorials. Happy crafting, friends! 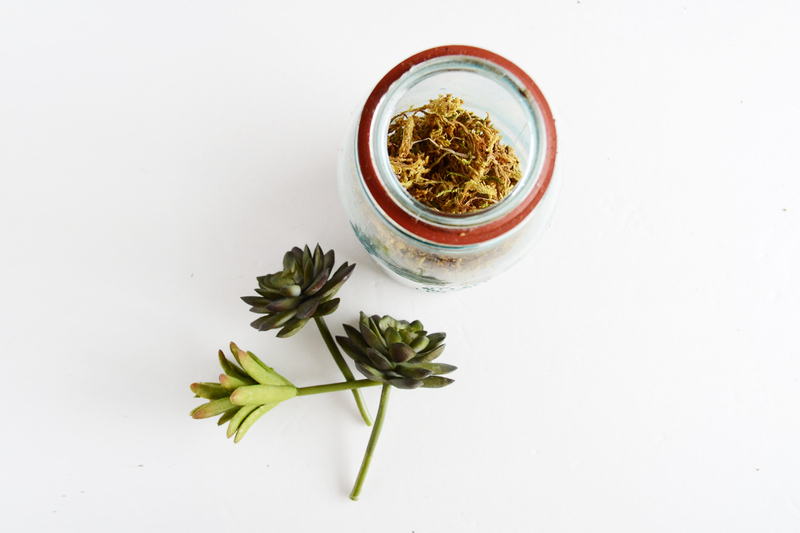 I love your idea of maison jar sedum terrarium and might slightly adapt it to include a little bit of compost and gravel and do a bit of glass painting around the bottom of the jar to make it attractive for a Christmas craft to make with seniors. Thanks for your idea. That sounds like a fun idea Mary! mary, loved this!! just one question..you don’t have to use any potting soil? and why is this?